When Viewed: Contents described are those showing when viewed in July 2015. Contents: Ballinabarny – Ballinard – Ballinclea — Ballineddan Mountain – Ballineddan — Ballintruer — Ballintruer More – Ballyhubbock – Ballyreask – Ballytoole — Ballytoole Upper – Ballyvoghan – Ballyvraghan – Ballinfoyle – Brittas – Brusselstown – Bushfield – Camara – Cannow – Castleruddery – Castlesallagh – Clonshannon – Clorna – Coan – Colliga – Coolamaddra – Coolmoney – Davidstown – Derrynamuck – Donaghmore – Drumreagh – Eadestown – Gibstown – Kelshamore – Kilbreffy – Killybeg – Knockaderry – Knockandarragh – Knocknamunnion – Knockanarrigan – Monroe – Moorspark – Rostyduff – Seskin — Seskin Curragh – Snugborough — Snugborough Moat – Spinans — Sranahely Mountain – Stranahely – Tinnehinch – Whitestown – Randalstown — Raheen. Publisher / Place of Publication: Church of Ireland Printing and Publishing Co. Ltd., / 61 Middle Abbey Street, Dublin. About: A one-page obituary of Rev. Timothy Clifford O’Connor. He was described as being “an uncompromising opponent of Home Rule”. Outside of the political field, he appears to have been less strident and maintained good relations with people of all denominations. WW Connection #1: Rev. T.C. O’Connor was Curate in Blessington Parish from 1872-74, before spending nearly the next 40 years as Rector of Donaghmore and Donard Parish. Extra #1: Includes black & white photograph. Extra #3: Link to the Online Archive of Church of Ireland Gazette. As of August 2016, all issues for 1911-1923 are online. To find this particular article input the search terms “Chancellor Timothy” under the tab ‘Please Enter Your Search Below’. Extra #4: Browse the 1901 Census entry for T.C. O’Connor in Donaghmore. Extra #5: Browse the 1911 Census entry for T.C. O’Connor in Donaghmore. Hat-Tip: To the Representative Church Body Library (RCBL) for making this issue available and freely accessibility online. 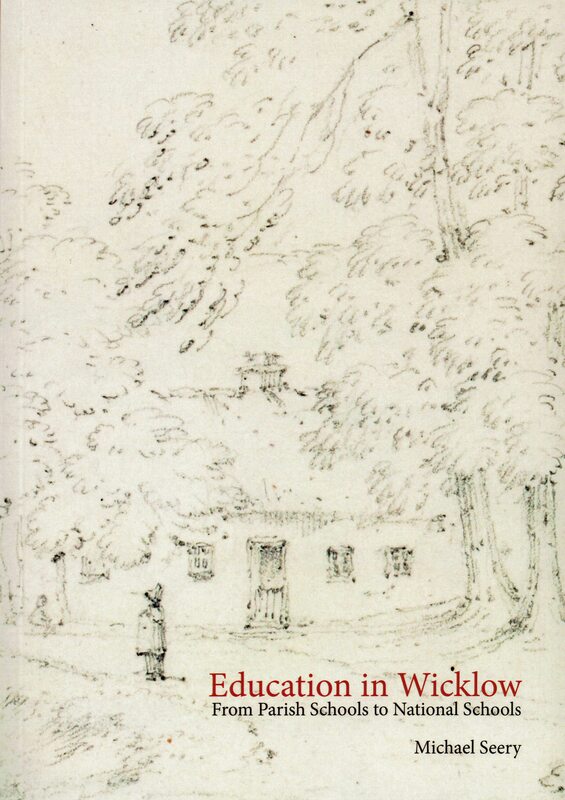 To read more about this publication and to make a contribution towards the digitization of further issues, please visit the Church of Ireland blog. Publisher / Place of Publication: Wicklow County Development Board [?] / County Buildings, Whitegates, Wicklow Town, Co. Wicklow. 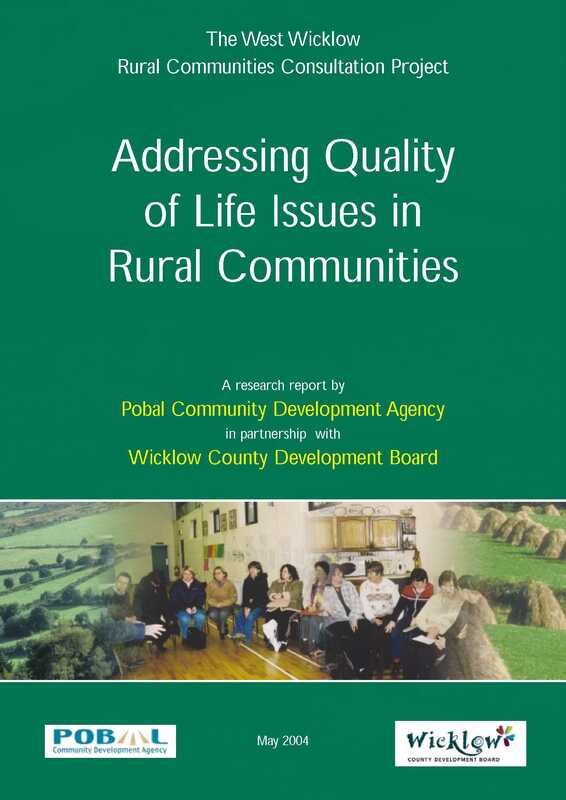 About: The West Wicklow Rural Communities Consultation Project was established in February 2003 in order to identify the key social exclusion issues that impact on rural communities in West Wicklow. The project centred on the Donard, Glen of Imaal, Rathdangan and Kiltegan areas of west Wicklow. The project led to the establishment of a research team, who carried out extensive consultations with a range of social groups in local communities between November 2003 and March 2004. Contents: Acknowledgements – Executive summary – [Section 1 – Introduction] The Research Context — Aims and Objectives — Defining the Research Area — Research Methodology — The Research Team — Structure of the Report — [Section 2 – Rural social exclusion in Ireland – an overview] Defining Social Exclusion — Social Change in Rural Communities — Social Exclusion in County Wicklow — [Section 3 – Outcomes from the consultation process] Introduction — Children – Youth – Women – Men — Older People — People with a Disability — [Section 4 – Analysis and conclusions] Demographic Change – Transport — Access to Health Care — Childminding Provision and Play Facilities — Road Safety — Environmental Services — Information and Advisory Services — Education and Training — Supporting Local Voluntary Effort – [Section 5 – Recommendations — Appendix 1: The Study Area in Profile — Appendix 2: Community and Voluntary Organisations in West Wicklow – Bibliography – List of Tables – List of Figures. Extra #1: Includes some photographs and graphs. Extra #2: Includes 10 demographic tables covering 2002 and 1996-2002.